How about you? Do you have any secret crushes? I suppose if you told, they wouldn’t be so secret anymore, would they? Don’t sweat it – this little editorial isn’t intended to get you into any kind of hot water. Well maybe, depends on how willing you are to bare your feelings. What the heck am I talking about? Secret crushes on cars, of course – what did you think I meant? I’ll lead off with a good example; I know a dyed-in-the-wool Tri-5 Chevy guy. He’s owned them (all three of ’em) over the years and has sworn up and down to having never strayed the course. “The only real Chevy is a Tri-5 Chevy”, I’ve heard him proudly proclaim on more than a few occasions. Except one day, in a hushed, don’t breathe a word of this tone, he admitted that he used to own a ’67 Mercury Comet. And, get this, that he missed that car – a lot. Wow. Judging from the look on his face, he appeared to be greatly relieved in finally getting this off his chest – like it had been some incredible weight killing him slowly all these years. He swore me to secrecy – so, I’m not naming any names here, or even geographic locations. After that confession, I didn’t know what to do. I felt like an attorney whose client just admitted he was guilty of some ghastly crime. Wait, it is just cars we’re talking about here, right? My friend has never breathed another word about this since. Those of you who read my column here even on a semi-regular basis know that I pretty much love all cars. I have my favorites for sure, but I’m not so stuck on any one particular model that I have to secretly admire another one. A while back, I shared an experience I had about 20 years ago. I was photographing a 1970 Chevelle back in Oregon. When we were wrapping up the shoot and heading back to the owner’s place, I asked him if he’d been a Chevy man all his life. When we pulled up to his three car garage, I saw what filled two of the bays – a ’69 Mustang Boss 302 and a 1970 Plymouth Road Runner. He told me yes, he was a Chevy man. But he was also a Mustang guy and “secretly” loved Mopars. Go figure. Onto this issue! Our first feature car belongs (I should say, used to belong) to a good car show buddy – Gary Robbins. We photographed Gary’s Cranberry Red ’70 LS6 Chevelle last summer in Oklahoma. Gary has since parted ways with this beauty, but his memories live on! This “King of the Muscle Cars” story starts on page 6. Next up we have a feature on a wild ’55 Pro Street Chevy. I met owner Hilbert Osborne at this past February’s Winter National in Orlando. His car is almost window-shattering loud! Check it out on page 14, but put in your earplugs first! Starting on page 18, you’ll find a feature on three Chevy A-Bodies. I met Bill Whorley at the Winter National as well. 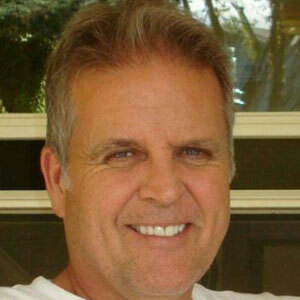 He’s a great guy who shared the story of his Chevelles (and his El Camino) with me. Then, on page 20, we have a piece on a ’56 Two-Ten Wagon. This car has belonged to owner Lloyd Malsam for over 50 years, and as you’ll soon find out, has been extremely well cared for. Our centerfold (and cover) car is the pride and joy of James Deason. I also met James at the Winter National in February, and he’s got a great story to tell! Check out “The Replacement”, starting on page 26. Rounding out our feature car department, you’ll find a super sharp Super Sport ’64 Impala residing on page 36. Owner Paul Lizun tells about his journey with his first new car – pretty cool! There’s also some good event coverage in this issue. Page 9 brings us a story on last year’s Gambler Classic River Run in Laughlin, NV. Also in the Silver State – all the happenings at last year’s SEMA Show in Las Vegas – begins on page 22. Tech centers around quarter panel replacement (page 32) and fixing stuck vent windows (page 34). Both good things to know! We also have an update on our Project ’55 – see page 38. My original pie in the sky vision for this issue was to feature cars from each generation (C1 through C7), but given time constraints and owner’s individual schedules, that quickly proved elusive. I soon learned that C5, C6 and C7 owners tend to be working stiffs with not a lot of extra time on their hands. Next thoughts were to narrow the scope and pick some earlier (mostly ’60s) Corvettes that we could get down and dirty with. This was, I believe, the way to go. What we’re presenting over these pages is much more focused than the aforementioned “all gen” concept. We have a good representation of C1, C2 and C3 gens here – important cars that aptly showcase some rare and highly collectible examples of the breed. We’re kicking things off with a very clean, mostly unrestored Polo White ’54 Roadster. 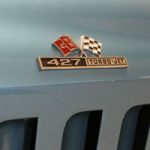 In its second year of production, Chevrolet offered the ’Vette in more colors than just white (3 more, to be exact), but the vast majority of them (3,200) were sprayed in this color. Learn more about the ’54 – beginning on page 6. Next up, on page 10, is a Nassau Blue ’65 Sting Ray. When I first laid eyes on this car, I knew it had to be in this issue. Important mostly because 1965 was the first (and only) year the big-block 396 cubic-inch Mark IV engine would reside in a Corvette. Starting on page 14 you’ll find a Mosport Green ’66 Sting Ray; a 427-equipped one at that. 1966 was the first year the 427 appeared in Corvette, and this one, a slick convertible, easily made the cut. Check out page 18. What’s this you say? Another ’66? Yes, but for good reason. This car is one of just 66 “Big Tank” Corvettes produced that year. Yes, 66 in ’66. If you don’t know much about the Sting Rays equipped with RPO N06, you’re about to learn a whole lot more. Then, more big-block firepower – a lot more firepower, actually. Starting on page 22, we have an honest-to-goodness 1968 L88-equipped Corvette. Exactly 80 of these were built that year. 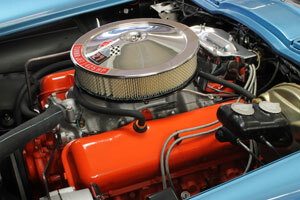 The L88 427 was an ultra-high compression big-block with aluminum heads and a Holley 850 cfm carburetor. Dynos have them pegged at 560 horsepower. Mega dollar muscle! Our final feature car this issue is our centerfold beast – an Ermine White ’67 Sting Ray, also ordered with RPO L88. Why jump from a 1968 model back down to a ’67, you ask? Only 20 Corvettes got the L88 treatment in 1967, making this car the rarest and most valuable of our incredible line-up this issue. Hence, the centerfold spot! “Since I am not as old school as some of the other Corvette guys here, I would say my 2016 Stingray would be my Corvette of choice. As much as I love the classics, this car has the best lines and high end sports car look of all the Corvette generations.” – Tom Holodak, VP of I.T. There are plenty of great Corvette stories and features in this issue, so feel free to dig in! Back in the 1960s, Chevrolet was not in the business of racing. The SCCA had a ban on factory-sponsored racecars, but that didn’t stop GM’s Chief Engineer Zora Arkus-Duntov. Duntov did his best to conjure up a high performance package for Corvette that would enable the car to compete with Shelby’s Ford-powered Cobra at the racetracks. That package was designated RPO Z06. When the all-new for ’63 Sting Ray debuted, the coupe (when equipped with the L84 360 horsepower 327 small-block, a $430.40 option) could be ordered with the Z06 Special Performance Equipment package. Shelling out another $1,818 (on top of the Corvette’s $4,252 base price and that aforementioned engine cost) got you a beefier-than-stock front sway bar, a vacuum brake booster, dual master cylinder, sintered metallic brake linings, power-assisted Alfin drums cooled by front air scoops and vented backing plates, and larger diameter heavy duty shocks and springs. It also netted you a 36.5 gallon fuel tank (stock tanks were mere 20 gallon units), ensuring more track time and less refueling time. These Corvettes came to be known as “Big Tanks”– ready for the racetrack right off the assembly line. The Z06 package was initially available only on coupes, as the oversized tank would not fit on the convertibles. Later in the model year however, the Z06 option package could be had on the soft top cars as well, sans the big tank. In 1963, just 199 Corvettes were ordered with RPO Z06. The option would not be offered on a Corvette again until 2001. Roger Judski has owned this 1966 427, 425 horsepower Big Tank Corvette since 1984. It has recently returned from Texas where it received a full body-off restoration to NCRS standards by the well-known Naber’s Brothers of Houston. It’s the final piece to Roger’s collection of big-block Corvettes and what he refers to as the “Dream Team”. 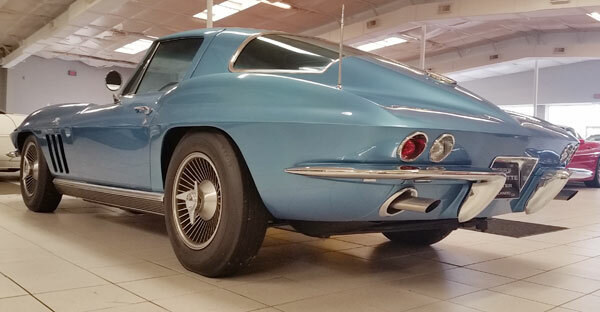 This particular Sting Ray, finished in gorgeous Nassau Blue applied by the experts at Burke Corvettes in Orlando, is extremely rare and valuable. 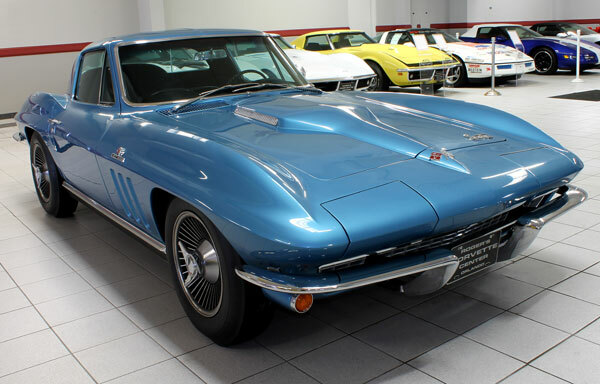 It’s one of only 66 Corvette coupes produced in 1966 with the N03 option – the 36.5 gallon fuel tank. The odometer reads just 42,030 miles. The additional convenience option of power windows and the appearance option of factory cast aluminum knock-off wheels make this one very special order Corvette. 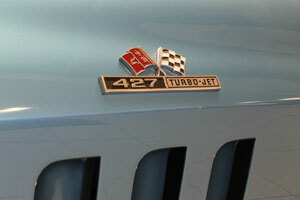 The 425 horsepower 427 was a $312.85 option in ’66, and the 36.5 gallon fuel tank stickered for $198.05. Expensive at the time, but comparatively, those costs seem like pocket change today. Starting with the 1973 model year, you could order the Z07 package in a Corvette. Content was similar to the legendary Z06. The package included special “Off Road” front and rear suspension and heavy duty power front and rear brakes. Mandatory was the ordering of RPO M21 – the close-ratio 4-speed manual transmission. Caption: Big Tank rear.jpg: Behind the seats – this area is formed to accept the massive 36.5 gallon fuel tank that lurks beneath.